Tick-Tock Tick-Tock Tick-Tock, the most awaited holiday is about to arrive and I even have no patience to wait for a single moment. Bag is now packed and we are heading to Delhi airport. 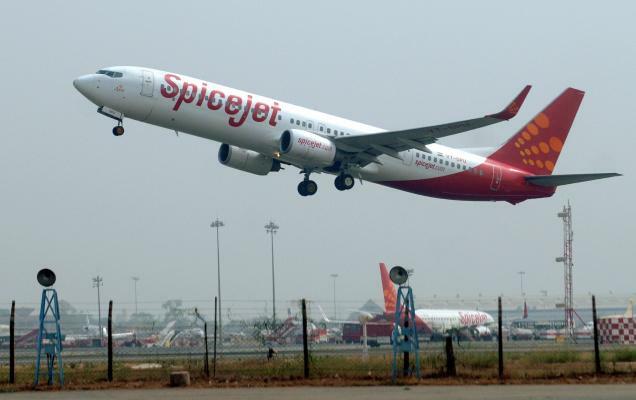 Ours is a connecting flight, Delhi to Cochin and Cochin to Maldives (Total of Seven hours approximately) from SpiceJet. Crossing Indian borders from ocean side and watching it live from up above the sky, indeed beautiful!! Then came the moment when we could see the spots of small islands and the corals, also known as coral atoll. The scenic beauty is just mesmerizing. Most of the world’s atolls are in the Pacific Ocean and Indian Ocean because Reef-building corals can thrive only in warm tropical and subtropical waters of oceans and seas. Male International airport,the gateway to Maldives. It is the main International airport in the Maldives located on Hulhule Island in the North Male atoll. 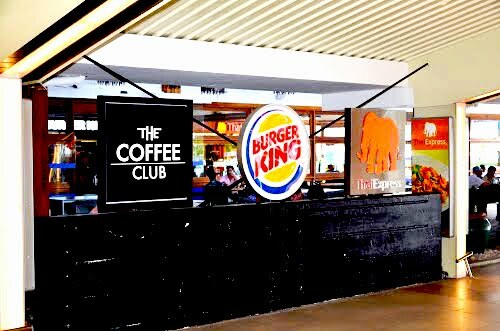 Travelers are also provided with shopping and eating options at the airport including Swensen’s Ice Cream Parlor, The Coffee Club, Thai Express, and also the Burger King. 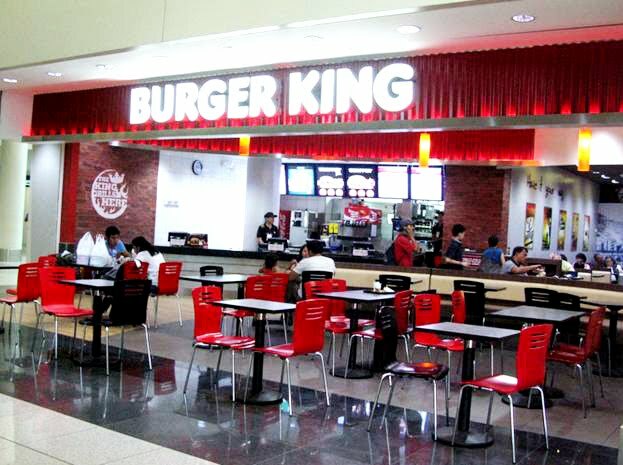 As the vegetarian options are very less here, 'Burger King' (located both Inside and outside Airport) proved itself to be the rescue option to fill our empty tummies at the airport. Veg Burger Meal costing up to $11 is the only option for vegetarians at Burger King. Not to forget, there is no option of currency exchange inside Male Airport. So be prepared with US dollar beforehand (US dollar is acceptable in Maldives). We also had few of US Dollar (As our is a prepaid package )and our Debit Card with us (most Economical option to pay your dues). Reaching the airport, we could see the Desk of Arrival (Paradise Island Resort – Our Destination - See Reviews and Book) - at the airport. These desks are there to assist you to the right path. Approaching the desk, they told us that our Speed Boat is about to arrive. The Speed Boat was included in our package only (must include in your package). Individual Speed Boat and sea planes (for far away resorts) are also available. (Book Transfers at Atoll Transfers) But as the pricing is very high, it is always better to opt for resorts which are near to Male International Airport.They also told us about the people who will be joining us in the same Speed Boat. It Means we are now already with the people who will be staying with us in the same resort. Meanwhile, we went to inquire about the SIM cards in Maldives, for which there were outlets at the Airport only (Various options – Starting cost $25 – Call + Internet). But buying a new SIM altogether did not seem to be a good option for us. As the WiFi will be available free of cost at the resort (Paradise Island Resort - Bar area) where we had booked our stay. There is now our Speed Boat to take us to our destined island at 'Paradise Island Resort'. After about a journey of 15 to 20 minutes in Speed Boat, we have reached our resort. Entrance to the resort is a bridge with wood floor, surrounding the blue beauty. Reaching the reception we are greeted by a fresh coconut drink and in few minutes, a sweet and very friendly lady came to us whohelped us complete all the formalities of check-in. Luckily we got the room facing the beach on special request of Nitin, which is adding more fun to our stay at the resort. It is always preferable to opt for the rooms which are near to the reception. 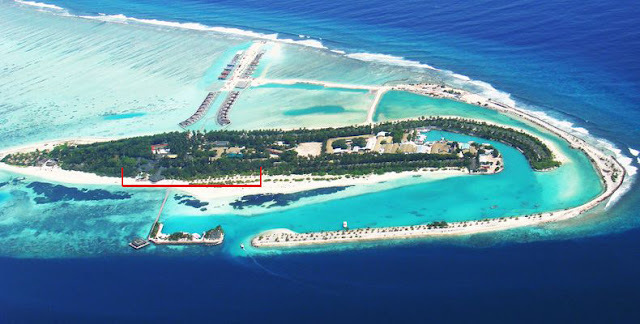 (Marked as Red in Map) Actually the resort is quite big - One of the biggest in Maldives - (one island occupied by one resort is the specialty of Maldives) and it can take your half hour by foot, if opted for far away rooms to reach reception / restaurants to have your meals. It is not always necessary that golf-buggy is available at your disposal. Also the view from the rooms at the back side of right side of the resort is not that good. In a nutshell, all you could say is "WOW" and all you are left with is "Speechlessness". Awaited was the adventurous part of the trip next day, snorkeling and scuba diving and many more activities. Watch out!! 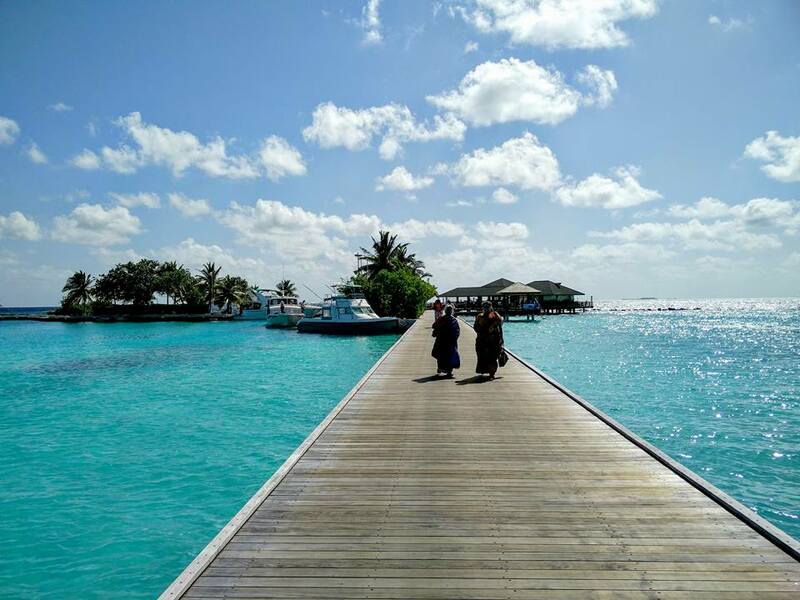 Wow, the Maldives look really cool, just like on pictures in Google. I likeв each place you have already visited, but now I think it is the best place to go to. Thank you a lot for your posts. Please continue posting your photos.